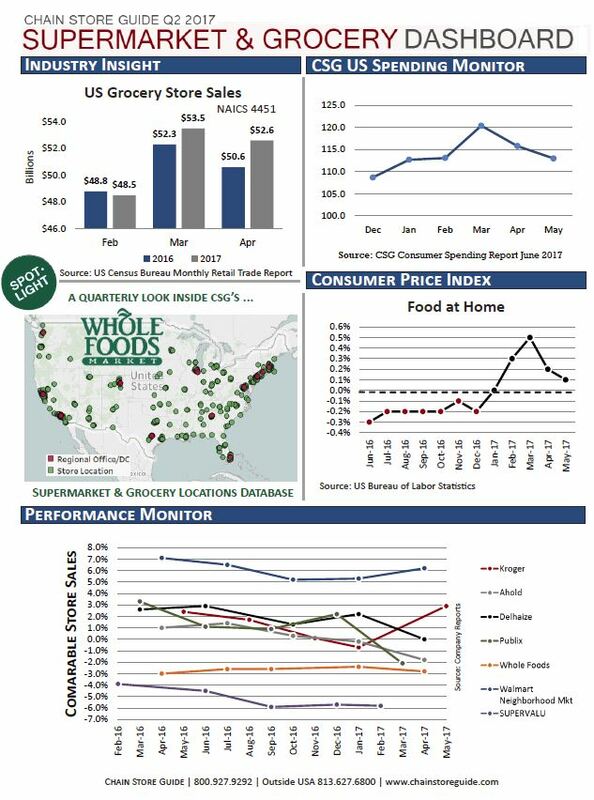 It’s once again time to roll out the CSG Supermarket & Grocery Dashboard. For the second quarter, we dedicate the Spotlight feature to a company that you may have heard something about this week, Whole Foods. Performance data for the quarter has Walmart Neighborhood Market continuing to outperform the pack and Kroger bouncing back from its slide. Publix comp sales took a nosedive, but that’s primarily the result of calendarization and the timing of the Easter holiday. Supervalu continues to struggle.